By the time that Warriors' Gate rolled around, it was almost the end of the Tom Baker era, but before the audience were forced to bid farewell to Baker, the fans had to bid farewell to Lalla Ward as Romana, who left to remain in E-Space to help an enslaved race. 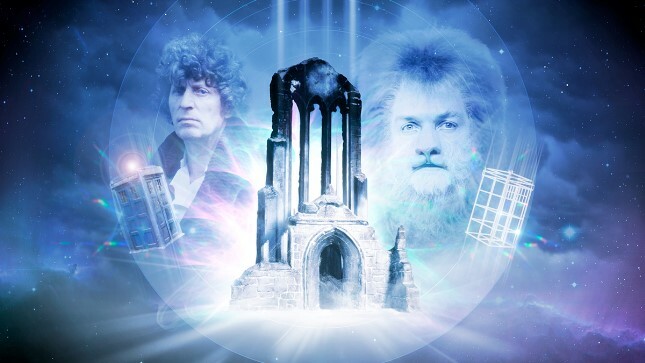 I guess the best place to start reviewing this story is Romana's exit. While it was just as abrupt as Leela's sudden departure, it was handled better than Leela's exit, it does make sense. Warriors' Gate is a perfect departure story for both the Time Lady and their robot dog, K9. This is also one of the best stories of series eighteen. Had Christopher H. Bidmead done a few more tales like this one, I may be inclined to look back on his time on the show as script editor with a little more interest, rather than bored indifference. Really, the first thing that catches your eye in Warriors' Gate is the brilliant direction from Paul Joyce with help from Graeme Harper. The opening shot, tracking the ship's interior was clearly inspired by Alien, while the design of the castle and the gateway was clearly taken from La Belle et la Bête. 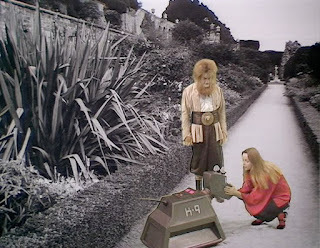 It is sad that Joyce's inspired direction clashed with how producer, John Nathan Turner, wanted to do things, which did result in Joyce never directing a Doctor Who story again. That was a real shame as Warriors' Gate is a great showcase in what really could be achieved on the show's limited budget if the directors had really put their mind to it. Joyce's brilliant direction is helpfully backed up by a fantastic script from Stephen Gallagher. Who cares if the script does come remarkably close to being ponderous and pretentious at times, it really does make a refreshing change from the 'Base Under Siege', storylines we had been given before then. And another thing I really liked about Gallagher's script was how well the crew of the trapped slaver ship where characterised. I really like how jaded and indifferent the crew actually are. Completely unlike their captain, the crew remain completely ambivalent throughout the tale, going about their business like their trapped ship has nothing more than a flat tire. They really are more concerned about what is for lunch than getting home!